SNAFU! 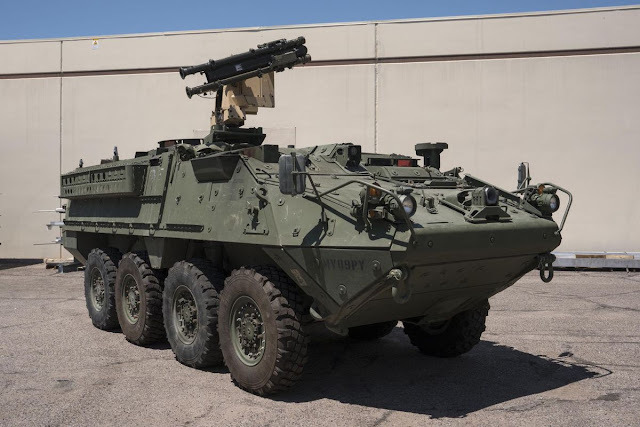 : Stingers on Strykers....this is the year of Anti-Air! Stingers on Strykers....this is the year of Anti-Air! 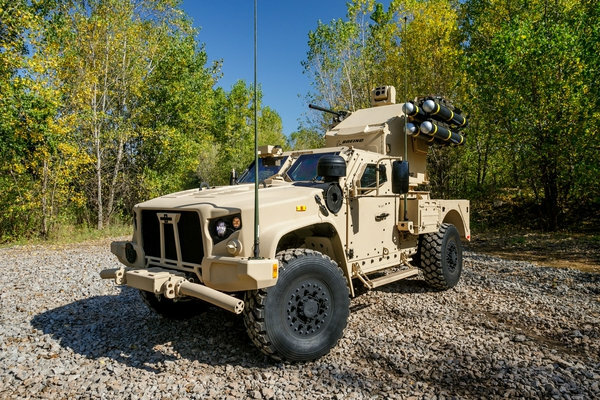 Raytheon showed a Stryker mounting Stinger anti-air missiles. That's not the real story though. The real story is this is the year of the anti-air vehicle mounted system! For better or worse the US Army is taking the air threat seriously, they would appear to believe that the US will not keep the skies clear of enemy fighters/attack aircraft and they do believe that vehicle mounted systems are the way ahead. The manufacturers are producing these variants for a reason. 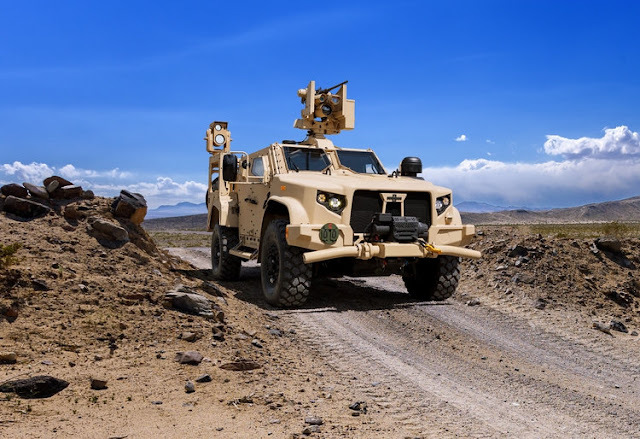 While we've heard very little from the Army with regard to what they see on the future battlefield with regard to enemy aircraft (except for a few terse remarks from the Army Chief of Staff) its obvious that they see a threat. 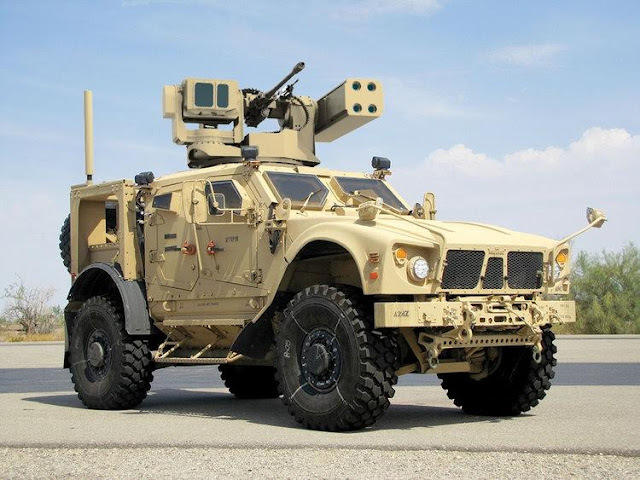 Below are a few JLTVs with "enhanced" weapon stations.